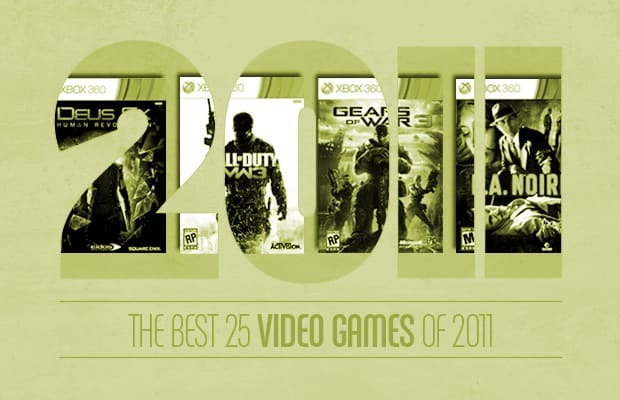 2011 has been a good year for gamers. Seriously, it's been a good year. Whether you're into blockbusters or sleeper hits, multiplayer mayhem or epic single player quests, hand-holding tickle-fests or 80 hours of pure punishment, chances are you found something this year that floated your boat. It was pretty tough for us to narrow it down to just 25 choices, especially when we tried to put our personal biases aside. If you disagree with us, go ahead and let us know in the comments—even though you're probably wrong. Enjoy!